Every part of your home is an investment, from the kitchen to the basement. And your surrounding outdoor space is no different. The landscape, paths, patios, driveways, and accents should all be tied together to enhance the architectural and personal style of your home. When considering a pathway, patio, or new driveway, there are so many selections it can be overwhelming. So lets talk about stamped concrete and patio pavers, since both are affordable and have some great features. 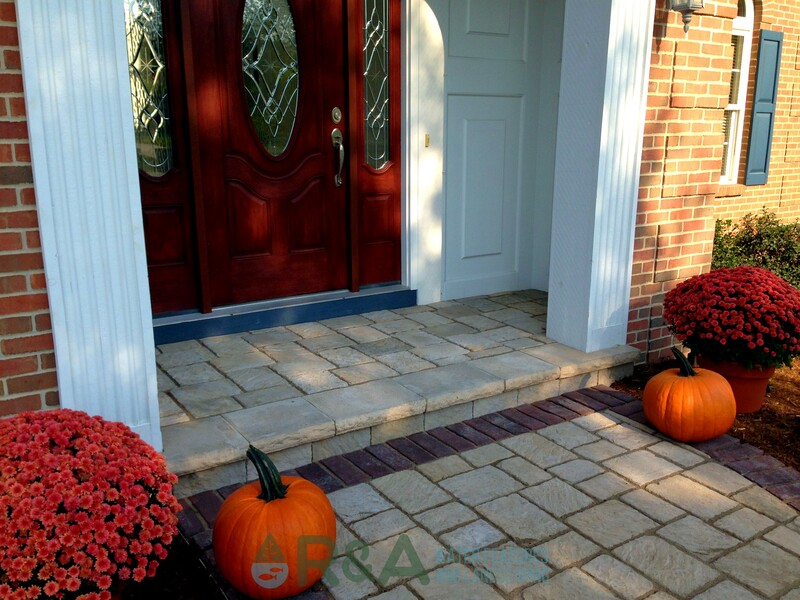 Drainage - Pavers aide in the drainage of rain and snow, due to the surface joints, which creates a better skid resistance and a decrease in glare. Heat Absorption - Generally speaking, pavers have a low heat absorption, which is great for kids or adults walking around barefoot. No Wait Time - After installation, pavers are usually ready to go right away. Climate Tolerant - No cracking! Speaking overall, pavers will not crack and are well suited for extreme climate changes (think Michigan!). Readily Available - If a paver needs to be replaced, it should be pretty easy to find the paver that was initially installed. Naturally Beautiful - Many consider patio pavers to have an aesthetic quality other material cannot compare to. 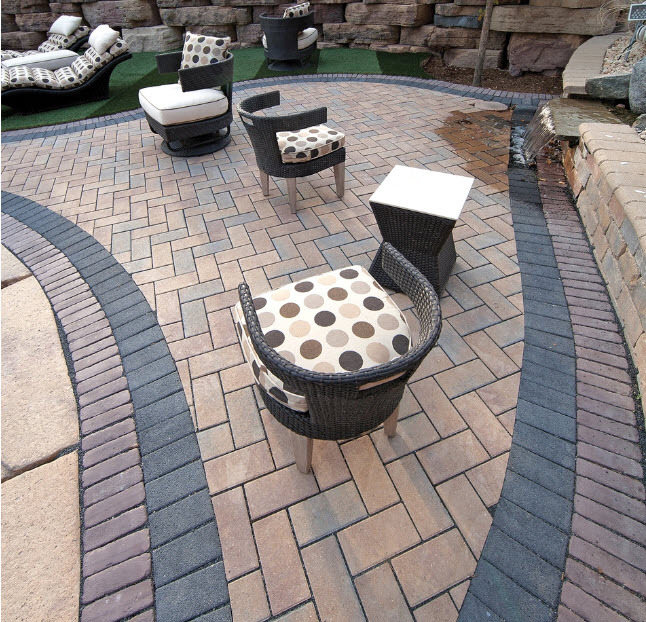 Tripping Hazard - Patio pavers can become a tripping hazard when settling and possible heaving occurs. 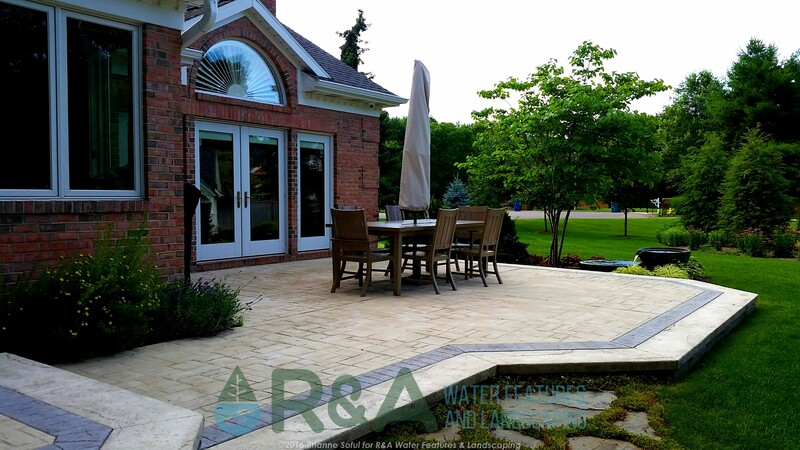 Occasional Maintenance - From time to time, sand or a special kind of dust may need to be added to any spaces that may form between the pavers. Patterns - Stamped concrete has the ability to mimic flagstone, slate, brick or other material and many consider it to look very ornate. 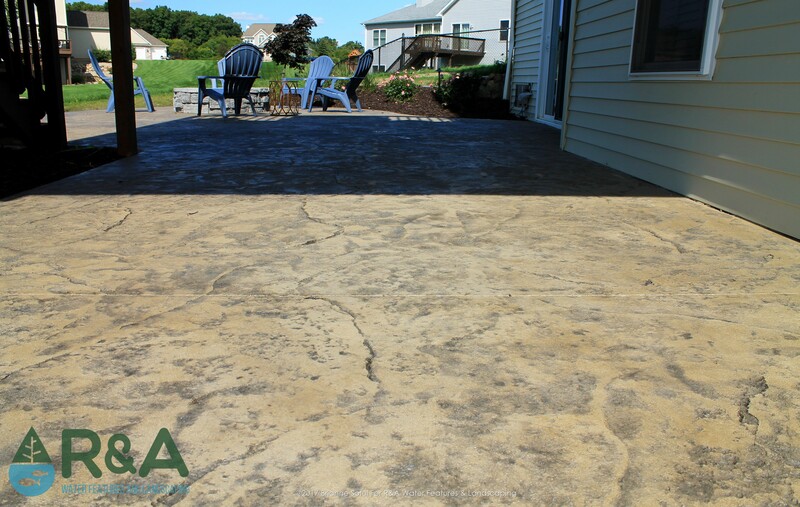 Camouflage - A pattern in your stamped concrete will aide in hiding hairline cracks, and the patterns look pretty awesome too! Affordable - Most sources suggest that the upfront cost of stamped concrete tends to be more inexpensive than pavers. Cracks - Unfortunately, due to heavy loads, settlement, and the shrinking of the material, this can happen. 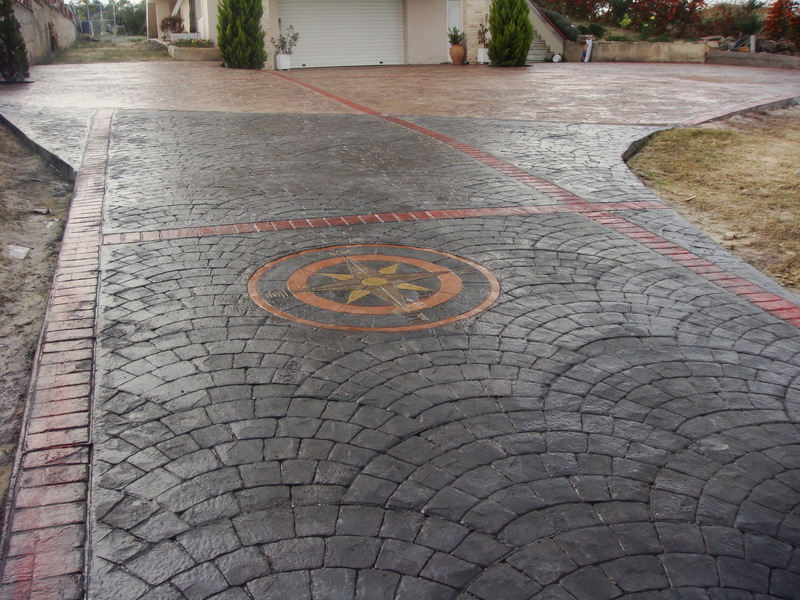 Wait Time - After installation, stamped concrete cannot be enjoyed right away, generally 3-5 days is the waiting time. Glare - Stamped concrete can produce a visual glare in the daytime which may be a considerable drawback for some. So which one is the winner? Neither, because they are both great options! Consider the above information when you're deciding between pavers. Be sure to follow us on Pinterest and Facebook for new ideas and inspiration. You can also check out our Houzz page, featuring recent projects and client reviews. Contact us today to get started on your next outdoor living project!